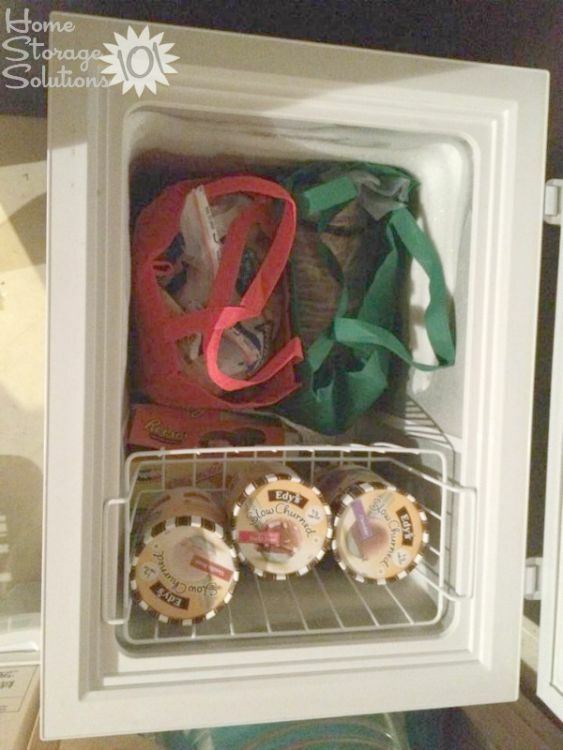 Deep freezers are a blessing to pretty much any household. You can store so much food in them! That can also be a curse, though, because the more food you have in there, the harder it is to find what you need. Unless you keep things organized. Organizing a deep freezer can be difficult. There's a lot of space to work with, but it's still hard to find a place for everything. That's where these tips come in handy. We've got a list of ways to store your food as well as ways to keep track of exactly what's in your freezer at any given time. 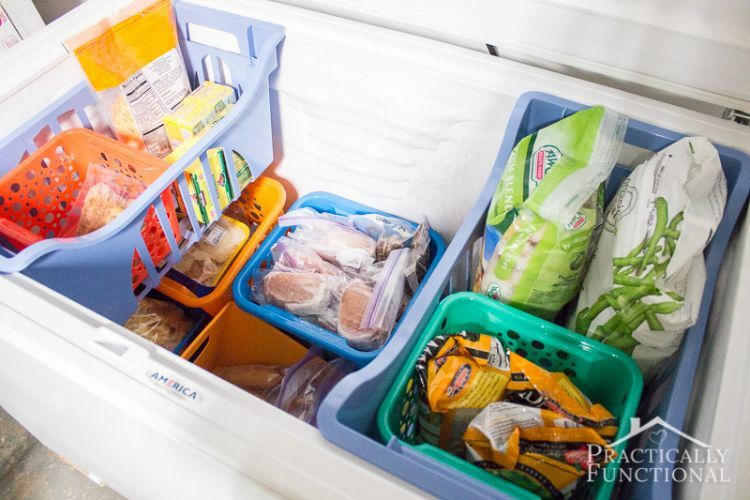 Plastic storage bins are possibly the easiest way to organize your freezer. They can hold quite a bit and are easy to stack on top of each other. You can even color-code your bins and keep all of your vegetables in green bins, meat in red bins, etc. Just fill up the bins and stack them in the freezer. Whenever you need something, you'll know exactly which bin to look in. Before you start organizing your freezer, remember the most important tip: Label everything! If you're storing leftovers or freezer meals, write on the container what's inside along with the date you're putting it in there. This way you'll know what you're getting with each container and you'll know if it's possibly been in the freezer too long. While plastic bins are great for storage, there's always the possibility that your freezer won't be big enough to accommodate them. If this is the case, then canvas tote bags are the way to go. They'll still hold quite a bit, but won't take up as much room. They're also more flexible, allowing you to fit them into practically any space. The handles also make them easier to move when you need to reach something further into the freezer. 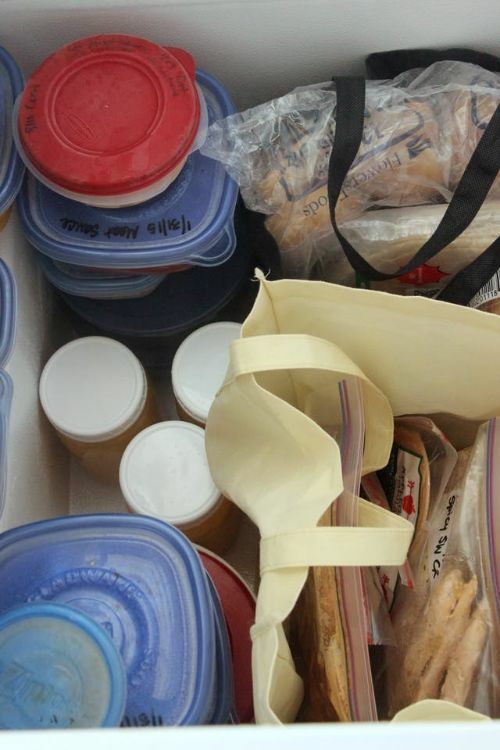 No matter what you store your food in, you can still benefit from keeping track of what is in each container. This is where printable tags come in handy. 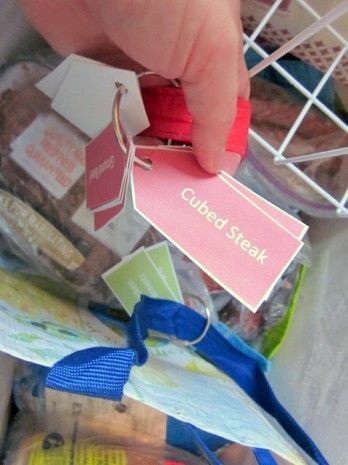 Just make tags for all of the items you keep in your freezer and attach them to the appropriate containers. Whenever you run out of something, remove the tag. This can also make shopping easier, as you'll know what you need based on which tags you've removed. You have two options with this tip: chalkboard paint or chalkboard paper. It depends on whether or not you want to paint the lid of your freezer. Once you've made that decision, you're ready to proceed. Write a list of the items in your freezer on the lid. Whenever you use something, erase it from the list. Whenever you put something new in the freezer, add it to the list. Now you'll always know what you have in there. 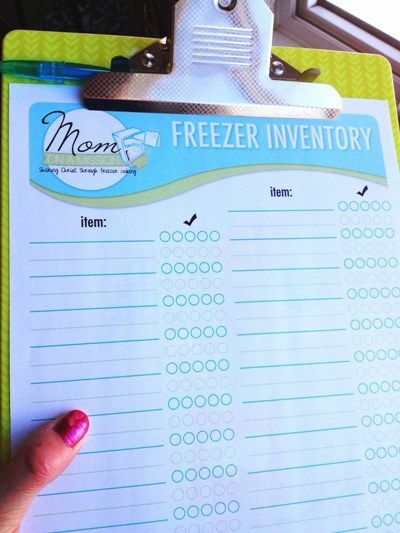 If you don't want to keep track of the contents of your freezer on the lid, then you can create you own inventory list. Keep it near the freezer so anyone who takes something out or puts something in can check it off the list or add onto it. 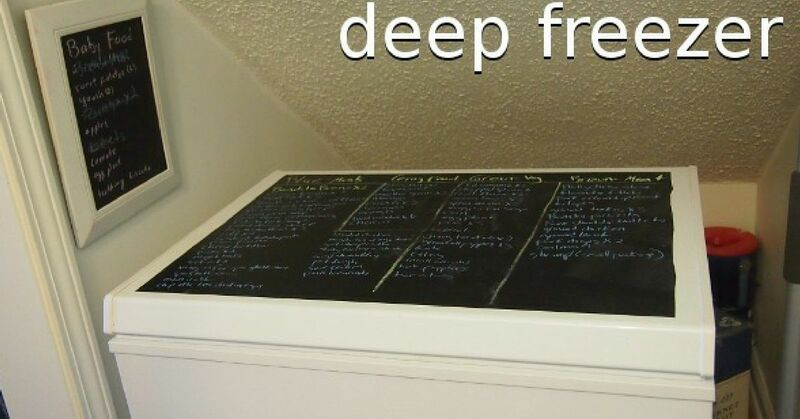 While this might not be quite as convenient as the chalkboard on the freezer lid, it will prevent the top of your freezer from looking messy. 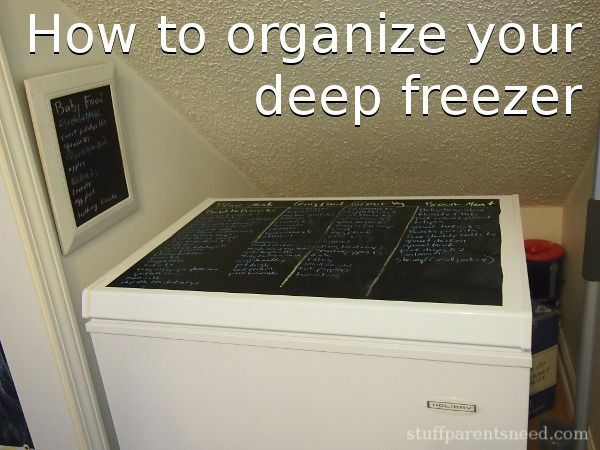 While not necessarily an organizing tip, this will help keep your freezer clean. 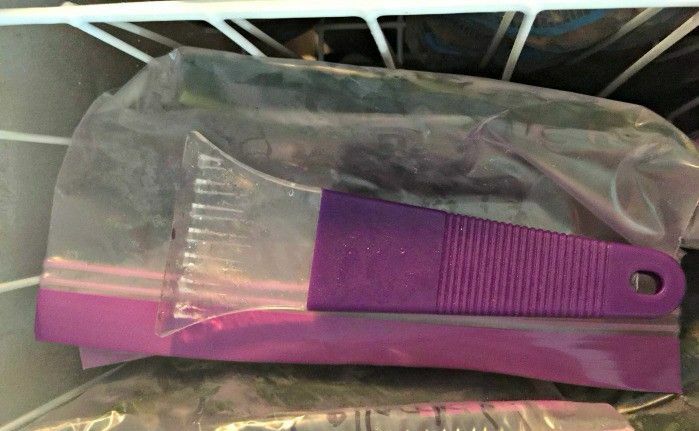 Store a small windshield scraper in a Ziploc bag in the top of your freezer. Whenever you notice frost starting to build up on the inner walls of the freezer, scrape it off.